The Pike/Wayne Conservation Partnership raised $975 at the rain barrel auction that was held at this year’s Pike/Wayne Earth Day event! 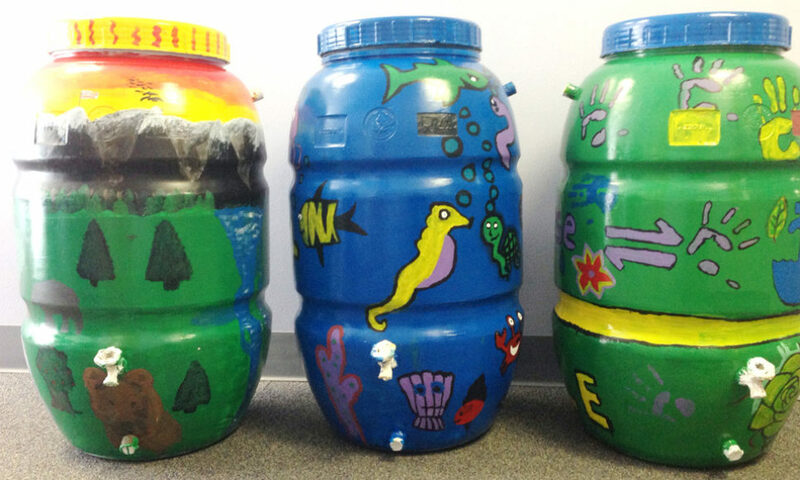 Students from Canaan Christian Academy, Delaware Valley, Honesdale and Wallenpaupack High schools designed and painted rain barrels that were up for auction as part of the Every Drop Counts! project. The money raised will go back tot he participating schools to be used for environmental education. Businesses from all over Pike and Wayne counties participated in this project by displaying the rain barrels and promoting the silent auction event since February. The Partnership would like to thank the following businesses for their participation in the project: Greentown Agway, Hawley Public Library, The Dime Bank – Lake Region Office, Grand Union in Milford, Country Trails General Store and Hardware, Lake Region IGA, Lake Ariel Agway, PPL Environmental Learning Center, Sherwin Williams in Matamoras, Walmart – Matamoras, the Honesdale National Bank, and the Cooperage Project in Honesdale. The Pike/Wayne Conservation Partnership is also hosting a number of educational programs throughout the spring including topics such as water conservation, non-point source pollution, best management practices to assist with storm water management, water quality and testing, native plants of our region, green cleaning and home energy efficiency tips. Each program will provide simple ways to be a responsible steward of our clean water. You can find out more about these programs at the Every Drop Counts! website at www.pikeconservation.org/EveryDropCounts.htm.